All of the Brexit, none of the negative side-effects for start-ups. Fears that Brexit will hurt UK's status as the continent's tech capital have not materialised, another report has confirmed. This time released by Atomico, the report says investors have put $5.4 billion into UK's tech companies this year – more than double than Germany, UK's nearest rival. When it comes to attracting talent, which was also a huge issue during Brexit days, the UK is attracting 20 per cent of all international migrants in European technology. The UK was also identified as the leading location for 'deep tech' - machine learning, scientific discoveries and engineering breakthroughs. Both locals and foreigners see London as the number one hub for technology start-ups, in front of Berlin, Paris, Amsterdam and Dublin. “The question of whether Europe can produce world-class innovation has been put to bed. The question of whether it can produce a $10bn company has been put to bed. And while Europe is notably absent from the top 10 most valuable companies in the world, the probability that the next industry-defining company could come from Europe has never been higher," said Atomico partner and head of research Tom Wehmeier. But people still haven’t gotten completely over Brexit. 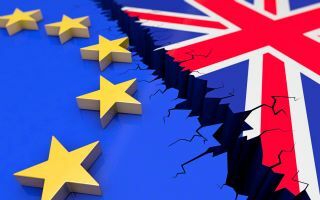 Survey findings in the State of European Tech report of more than 3,500 founders saw that the UK is the least optimistic for the future of European tech.